Channel a sports luxe vibe in this zip through jacket. 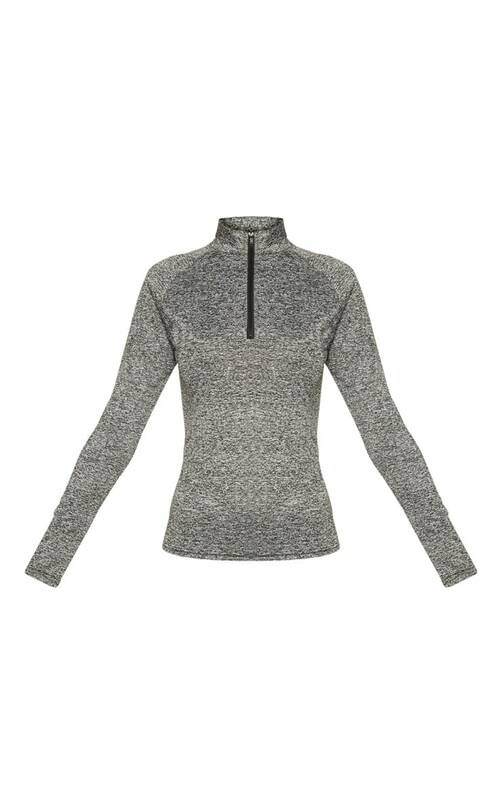 Featuring a black speckle active wear material with a long sleeves and zip up design, what's not to love? Team with your fave gym leggings and fresh kicks ready to feel the burn.